You have to read it to believe it. Consider it part of “The Young Martens” series. Which you can read here. Among other things, is it true the leader of a well-known band wrote a song in this particular stall? Is this tale going to be dodgy? Probably. 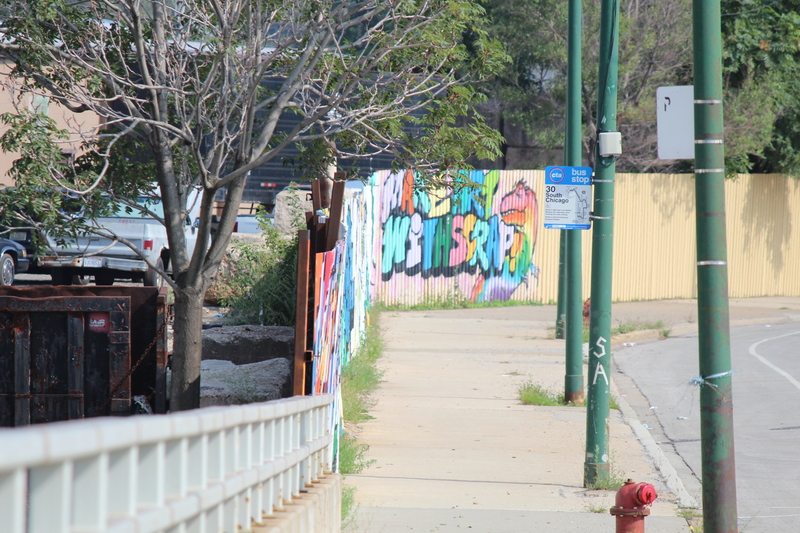 In the meantime, here’s a photo Liffey took on the Chicago’s southside while on a bike jaunt waiting for a bridge to lower near Lake Michigan. Nice urban graffiti. Cheers! Will be up by Oct 10!